Are you looking for NO PREP math and literacy activities? 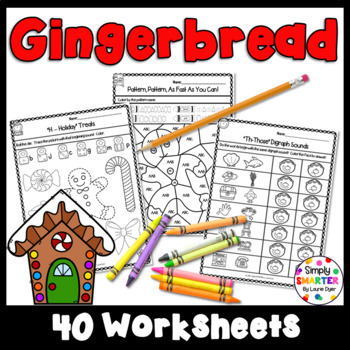 Then enjoy this math and literacy resource which is comprised of FORTY GINGERBREAD themed WORKSHEETS. 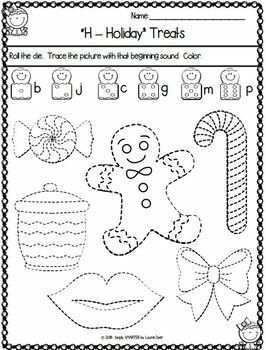 The possibilities are endless with this worksheet packet. 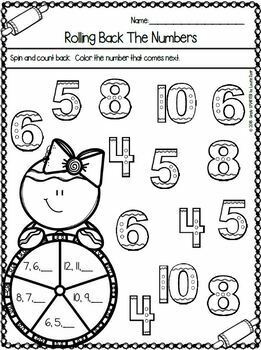 The worksheets can be used for guided math, math centers, word work, literacy centers, early finishers, enrichment, remediation, independent work, morning work, focus lessons, and homework. The pages can be chosen by the teacher to best meet the needs of the student. ALL YOU NEED TO DO IS PRINT THE APPROPRIATE PAGES AND PROVIDE PENCILS, CRAYONS, AND CLIPS. Are you looking for a big bargain? 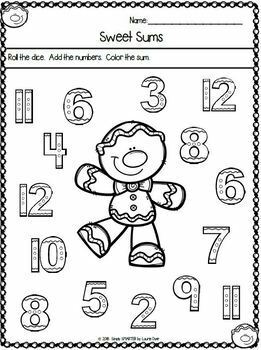 Then check out my Thematic Kindergarten Math and Literacy Worksheets & Activities Bundle, which includes this worksheets and activities packet. You'll have all of your kindergarten math and literacy activities planned with this year long bundle. Save by buying the bundle rather than buying each NO PREP resource individually! If you enjoy this resource, you must check out my other THEMATIC KINDERGARTEN MATH AND LITERACY WORKSHEETS AND ACTIVITIES. They are priced just right and offer educational and interactive fun for your students while being NO prep for you!